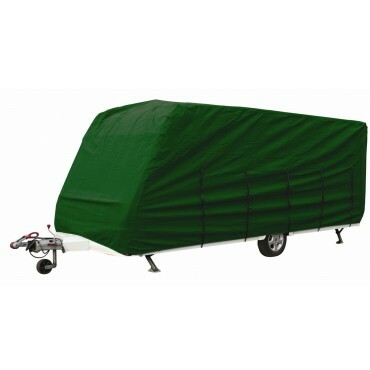 Heavy duty 3 ply non-woven polypropylene fabric is UV stable, breathable and gives superior water resistance and protection from the elements. 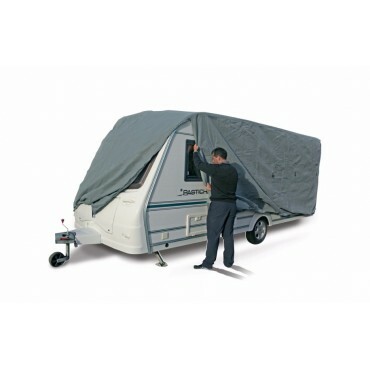 Elasticated hem allows a tailored fit over a range of caravan sizes. 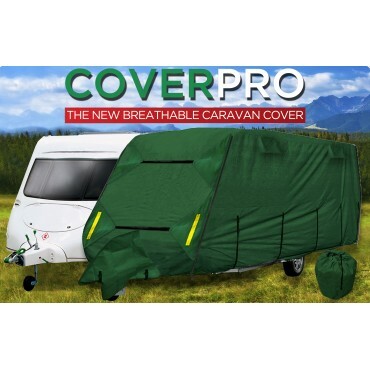 Nylon straps and buckles secure the cover firmly, zip openings on both sides allow easy fitting and access. Handy storage bag is ideal when cover is not in use. 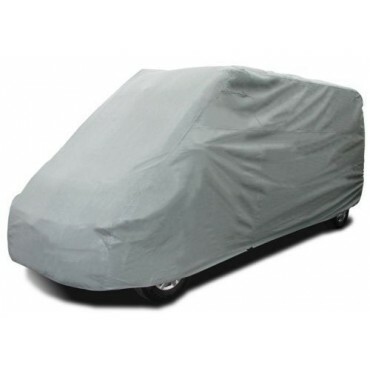 to suit Boxer, Ducato & Relay, etc. 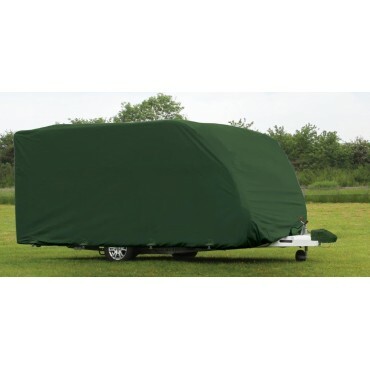 Maypole 4-ply Breathable Caravan Cover - available in two colours and 7 sizes! 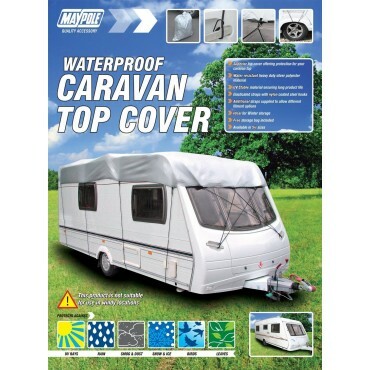 Water resistant and fully breathable caravan cover.